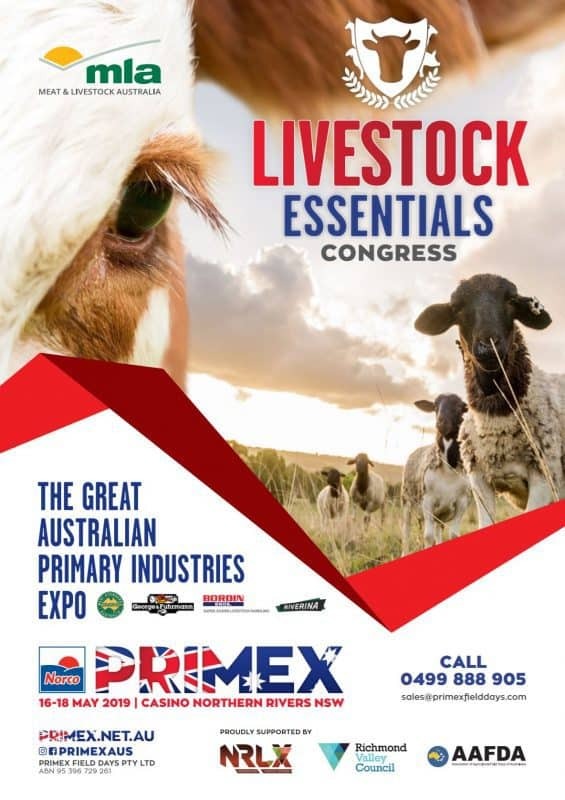 The Livestock Essentials Congress is one of the most comprehensive industry events in 2019 offering new and unique solutions-based coverage, producers and special features for Australian Beef producers in addition to Sheep and Goat industries and culminating with the Red Meat Gala Awards Dinner. Norco Primex will hold a Producer Forum Update at the Warwick RSL Wednesday 27th March from 10am for 10.30am supported by Meat & Livestock Australia. 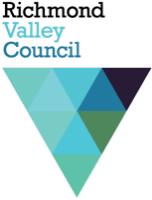 The program is associated with Norco Primex Field Days, Livestock Essentials Congress and link to the MSA Performance Feedback Trials currently being staged at Bfeeders Rodgers Creek. All producers are welcome to attend this event provided free of charge including morning tea & light lunch by Primex Field Days. The Producer Forum Update will have presentations and speakers covering; Latest Beef Industry Market Updates, Eating Quality, Grading & MSA Index, Teys Australia – How to sell meat in the 21st Century, Allflex Australia – Allflex SenseHub information for Beef & Dairy, Guest Speaker AgForce Southern Inland Regional Manager – Sharon Purcell. 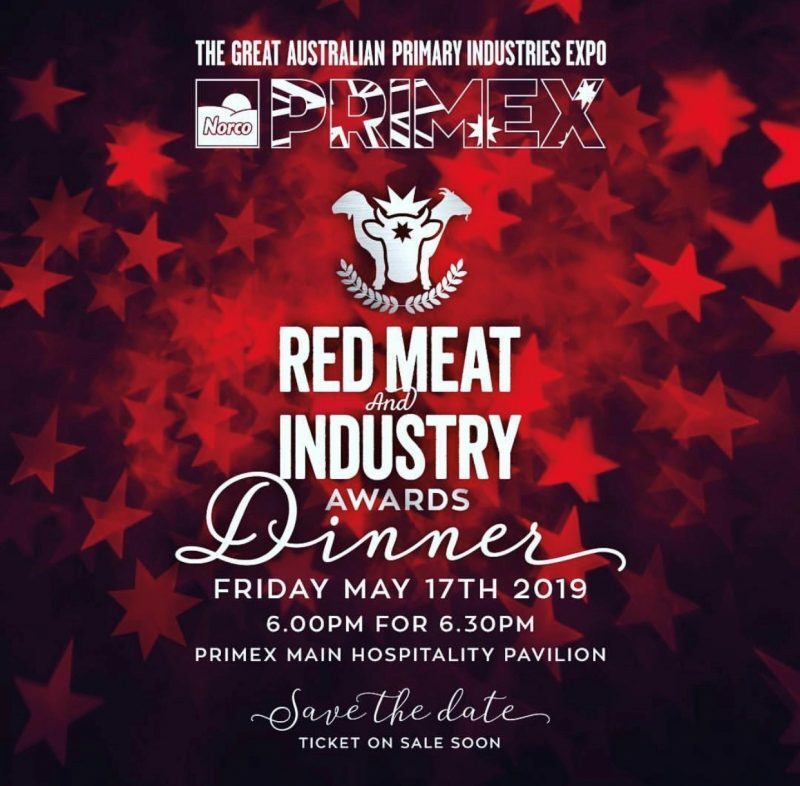 The Red Meat & Industry Awards Dinner will feature three dishes representing the best of Australian Beef, Sheep & Goat, held in the unique venue of the Primex Hospitality Pavilion. In conjunction with the extensive Livestock Essentials Congress and program, the evening will be an opportunity to relax, mingle and meet up with friends. You will be present to witness the presentation of a range of industry awards including The Earle Bulmer Memorial Shield, MSA Performance Feedback Trials Carcase Competition and more. 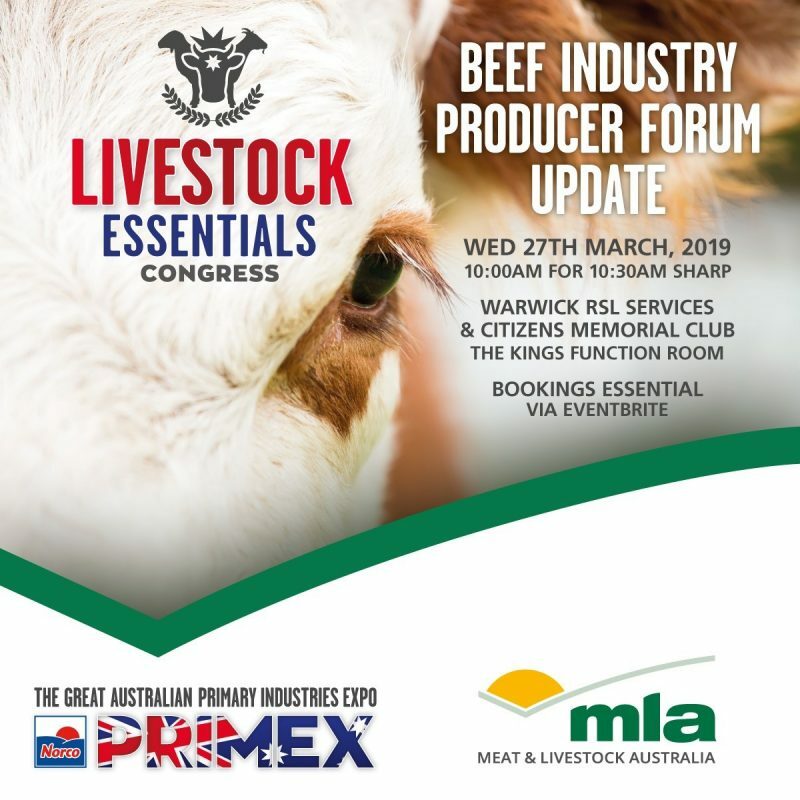 Leading industry speakers will present to a special Red Meat Industry audience and amongst some of the leading producers throughout eastern Australia, whilst celebrating the outstanding presence and quality of Australia’s Red Meat Industries.